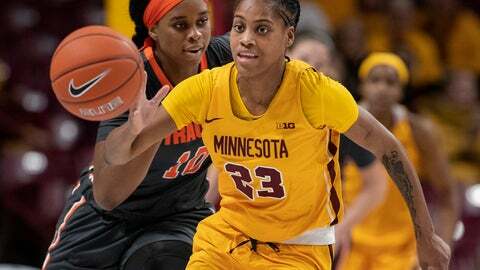 MINNEAPOLIS (AP) — Taiye Bello scored a career-high 20 points and pulled down 18 rebounds, Kenisha Bell added 24 points and nine rebounds and No. 20 Minnesota beat No. 12 Syracuse 72-68 on Thursday night.